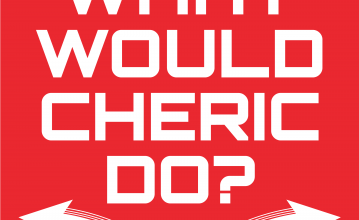 July | 2017 | What Would Cheric Do? In the episode, we get behind the wheel to race for our cousin Hubert but dastardly plots are afoot! Forgotten talents are rediscovered. Cheric seems to be making the wrong decisions. Chad reveals his most well-kept secret. Eric plots with Raul to kill Cheric! Dr. Wogan, a brilliant scientist and developer of the highly sought after ARI, has gone missing! Cheric is charged with finding her and ensuring her safety. Who can we trust? Is everyone we meet against us? Is it the end of the world as we know it? Eric falls in with the mafia. Chad gets a bit miffed. Cheric finds help where he least expects it. Cheric returns to the lost city of Atlantis, or is it the first time? Or maybe a different Atlantis? One can’t be too sure…Chad goes on a retreat. Eric makes a huge mistake. Cheric gets a second chance.